A Glock 23 ankle holster?! Sounds crazy, right? The reason why it does is that there really aren't any ankle holsters you'd actually trust to carry the Glock 23. 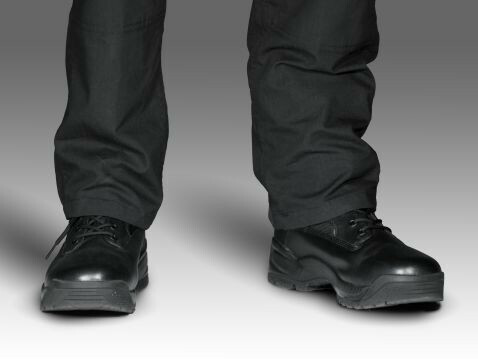 The gun is compact enough to be carried in this position so long as you don't wear tapered pants. All you need is a holster that can do it. 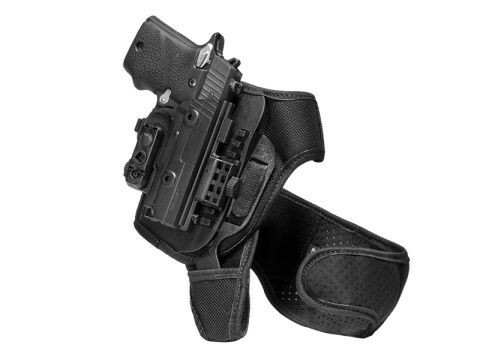 Due to the design of the typical ankle holster Glock 23 carry just wouldn't be feasible for most of them. There isn't enough support to hold anything beyond a tiny gun. Often enough, the fit and retention also leave a lot to be desired. 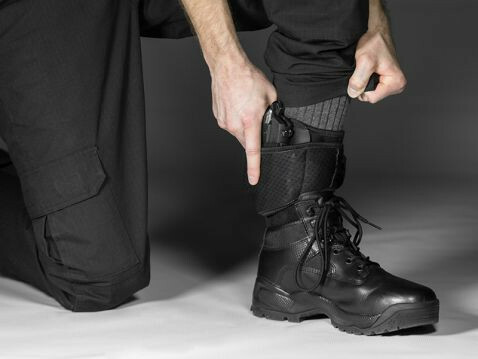 Alien Gear's Glock 23 ankle holster has been designed to succeed where so many other ankle rigs fail. 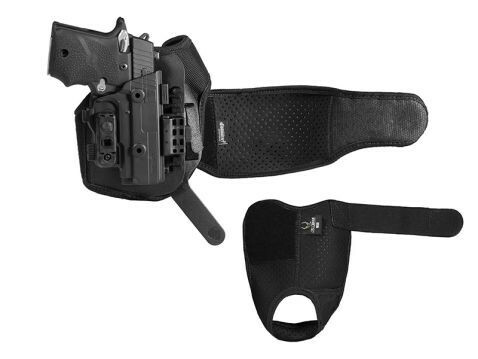 This holster carries securely, comfortably, and with fit and function equal to our other holsters. 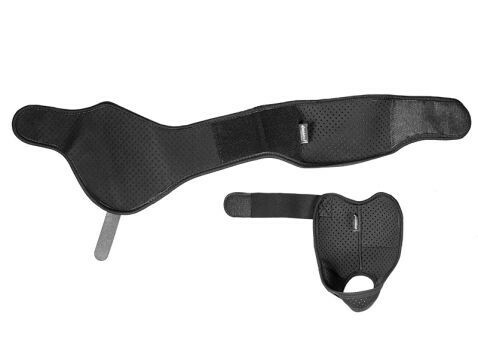 The two-piece strapping offers more support than any other ankle holster for Glock 23 pistols, offering both vertical and horizontal support. 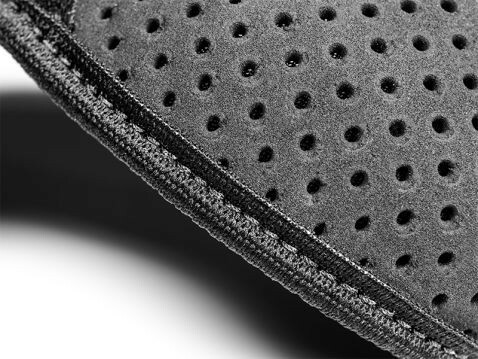 Instead of thick leather that turns your ankle into a furnace, it's made using our Cool Vent perforated neoprene, durable enough to last through years of service but while letting the skin breathe and wicking away moisture. You can also set the ride height to find the perfect carry position. The holster itself is the ShapeShift Glock 23 holster, with the full outer shell and trigger guard shell, fully enclosing the trigger guard for the utmost in security. Retention is also fully adjustable; set it exactly how you want it. A Glock 23 ankle holster that carries comfortably, securely and with fit and retention better than many IWB holsters for this pistol. You aren't going to find too many of them elsewhere in this universe. You also won't find one with as comprehensive a guarantee. 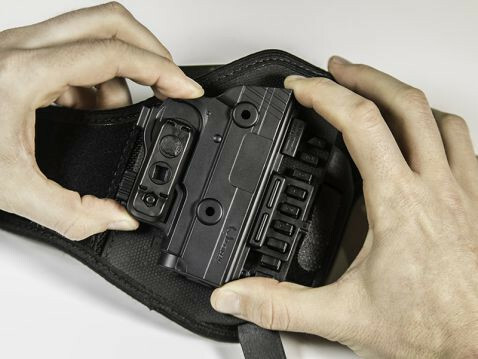 The ShapeShift Glock 23 Ankle Holster also comes with Alien Gear's Iron-Clad Guarantee, including the 30 Day Test Drive trial period and lifetime warranty. 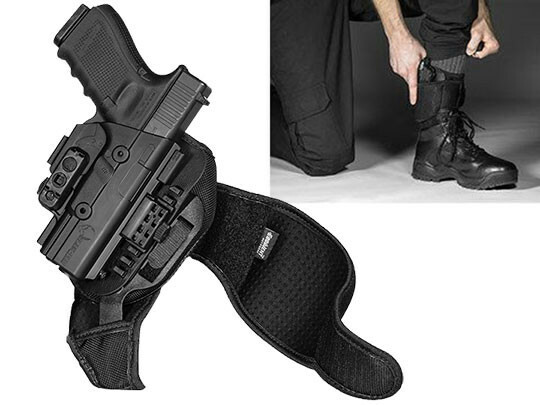 If you were looking to shift to ankle carry for occasional use or carrying a backup gun...this is the way to do it.